You are currently browsing the tag archive for the ‘Black Mountain’ tag. Moonfixer just went live on Kindle! Yay! For the time being, it will only be available on Kindle but the print edition is in the works as is the audio edition. It will also be available on Nook, Kobo, Sony, Apple, etc., in a couple of months–or sooner depending on when we get the formatting worked out. We’ll post here when each version goes live so stay tuned! We want to thank each and everyone of you for your patience and for making 2013 such a joyful and memorable year for us! We wish all of you a very merry Christmas and a safe and healthy 2014! It’s no secret I have a love/hate relationship with research. 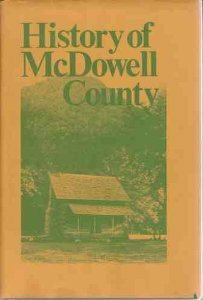 For the last couple of weeks, I’ve been on the hate end but yesterday, I opened up a book, History of McDowell County by Mildred B. Fossett, I checked out of the library almost two weeks ago. I started flipping through it without much interest…until I found a chapter about schools in McDowell County and at the end there was a list: Former Teachers of McDowell County. Guess who was on that list. Yep, that’s right, Bessie Elliott. It didn’t give any more information like when she taught or what school she taught at, but she was there and it was enough to spark our interest again. This next bit needs a bit of backstory; from the very first when Christy and I came up with the idea of writing Whistling Woman, we’ve been convinced that Aunt Bessie was sitting at our side guiding our hands as we typed. It’s as if she wanted, and sometimes demanded, her story be told. So we told it, the first part of it anyway, and mostly, we enjoyed every single minute of it. And we knew, we knew, the whole time we were writing it that it was right. We could almost see Aunt Bessie’s smile. But after we finished Whistling Woman and moved on to Moonfixer, the next book in the series, it was as if Aunt Bessie deserted us and writing her life story became more of a chore than a pleasure. In fact, up until yesterday, I likened writing Moonfixer to trying to shave my legs with only a pair of tweezers…a long, arduous, painful, and almost impossible task. But now…ah, now, Aunt Bessie is back and I can’t wait to see where she leads us this time. Of course, we pretty much know the story and even had the book almost finished, right down to the last line, but it just wasn’t working somehow. It didn’t feel right, didn’t feel like we were telling it the right way. It’s like I always tell my husband when he asks why I read books over and over again when I already know how they end: it’s not the end that counts, it’s the getting there. To us, the journey is everything and knowing Aunt Bessie, she’ll take us on a heck of a journey with this one, just like she did the last one. So, here’s to the year of the Moonfixer…part deux! Oops, I just Googled that phrase to make sure I spelled it right and one of the definitions is an “overly bad sequel.” Yikes! So maybe we should say here’s to the year of the Moonfixer…new and improved version! about how time flies when you’re having fun? Well, I must have been having a blast in February judging by the date of my last post. Over a month without a single word written on this blog. Yikes! I had hoped to put up at least three posts a week but as you can see, I’ve failed miserably. My only excuse is research and writing has taken up a great deal of my time. 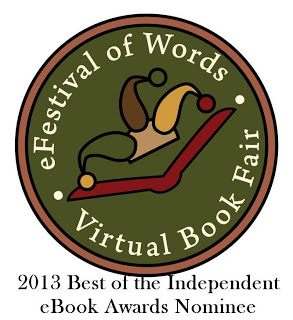 That and promoting Whistling Woman which is currently #1 on the Kindle southern and historical fiction list. Woo-hoo! We’re a Kindle bestseller! Something else I’ve been spending a lot of time on is Photoshop. I bought the program last July and finally got it downloaded (uploaded? I never know which is right!) to my computer. 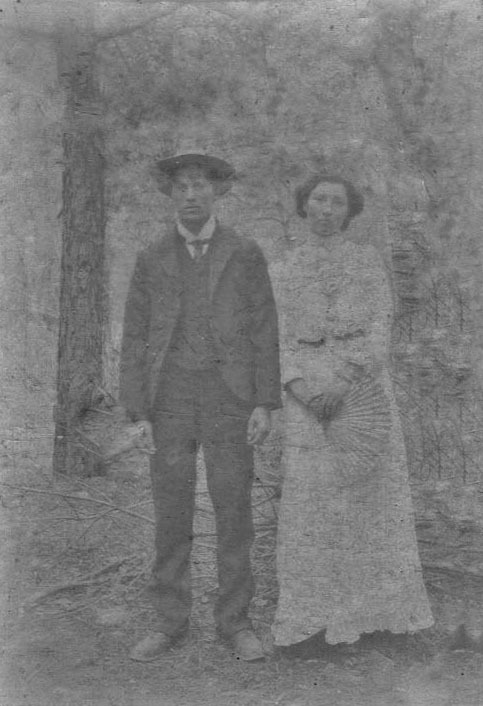 The first picture I added was one we have of Aunt Bessie and Uncle Fletcher on their wedding day. 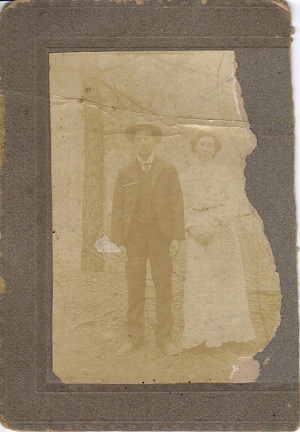 It’s in pretty bad shape and I have plans to take it to a professional picture restorer (or whatever they’re called) but I wanted to see what I could do with it on Photoshop first. Told you it was in bad shape but it is from 1902 and was tucked in a small picture album Aunt Bessie gave to our dad before she died. He’d wrapped it in plastic and stored it away for years before pulling it out and giving it to us when we started writing Whistling Woman. This is the only picture we have of Aunt Bessie when she was young and it’s the only picture we have of Uncle Fletcher at any age. Because it was taken on their wedding day, Christy and I have decided it would be the perfect picture for the cover of Moonfixer which starts where Whistling Woman left off–a week after their wedding with their train trip to Old Fort. Not real happy with that one either, although you sure can see them a lot better. So, next time, I’m going to work with this one and see what I can do to clean up the background. Photoshop is an amazing program but I have to tell you, it’s terribly complicated to learn. Or maybe that’s just me! Okay, that’s it for now except to tell you my new goal for this blog: at least one post a week. Surely I can handle that! I’ve spent the last week immersed in genealogy sites while becoming more familiar with my ancestors–both those I actually knew and those I didn’t. And after spending hours on the Find a Grave site, looking at the many “Elliott” tombstones at the Stone Mountain Baptist Church Cemetery, all I can say is Stone Mountain must have, at one time, been crawling with our relatives.One of the things I’ve enjoyed most while doing this research is the names. Names have always been a problem for me when I’m writing, especially for secondary characters. I’ve been known to agonize for hours over a name for one character. With Whistling Woman, we were lucky enough to have the book The Season of Dorland Bell, written by our cousin, Jackie Burgin Painter who grew up in Hot Springs. Jackie, thankfully for us, did a tremendous amount of research on Dorland Bell, including a list of students’ names from the first years of the school. With that at our hands, all we had to do was look at the list and choose a name–we usually did this by picking a first name at random and then choosing another surname to go with it, instead of using the actual names of people that once attended the school. With Moonfixer, I don’t think names are going to be a problem either–all we have to do is look at the tombstones of the Elliotts in Stone Mountain Church Cemetery (a huge thanks to the person who downloaded all the pictures to the Find a Grave site!) and that’ll be it. There are so many to choose from; Doctor (no, that wasn’t his profession, it was his actual name), Daisy, Easter, Taft Commodore, Gemma Alephair, Mintie Jane, Dollie, Lura, and yes, even an Ellie Mae. In addition to all those wonderful real names, we also have our Uncle Ken (Daddy’s half brother) who read and loved Whistling Woman and now is sending us stories he remembers Aunt Bessie, Uncle Fletcher or other relatives telling him while he lived on Stone Mountain with his mother (Francis Ann–Jack–from Whistling Woman) and her third husband, Boyd Elliott (a cousin of Fletcher’s). And those stories are chock-full of nicknames (Daddy and Uncle Ken tell us the mountain folks were partial to giving nicknames to people for a particular trait or characteristic): “Stumblin’ Gilliam, “Buttermilk” Stroud, “Bad-eye” Bruce, “Cotton” Davis and his brother “Goober,” and, of course, Moonfixer, the name they gave Aunt Bessie because she was tall for a woman. Given that, we’ve decided to use some of those unusual nicknames as the chapter headings, like we used southern sayings for the chapter headings in Whistling Woman. So, we have the chapter titles, a good resource for the secondary character names, scads of books and websites dealing with NC history, and most important, lots of family stories. Next up, finish writing the book! We’ve started the research on Moonfixer, the second book in the Appalachian Journey series and once again I find myself obsessed with graves. Whereas, with Whistling Woman, we looked–unsuccessfully–for Lucinda’s (Mama in the book) headstone at Sandy Gap Cemetery, this time we’re meeting with more success than I ever dreamed. Of course, it helps that this time we knew where to look. We’d even been there in the past and were present at several of the funerals that took place in the latter half of the 20th century. With Lucinda, all we had to go on was a general vicinity and a landscape that had changed drastically since our day last visited it. 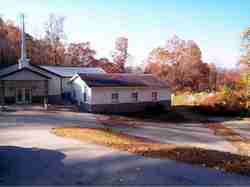 This time, all it took was a Google search for Stone Mountain Missionary Baptist Church. Don’t you just love the Internet? The Google search took me to the Majdan Family History homepage which features a Google Earth shot of the church in question and according to the list of ancestors, we may be related in some way to the Majdan family. Probably only distant cousins but there are a couple of “Elliotts” listed on their page. So, I took a chance and clicked on the Elliotts and lo and behold, that takes you to the Find A Grave site where I found a wealth of information, including pictures of Aunt Bessie’s and Uncle Fletch’s tombstones at Stone Mountain Cemetery–and a lovely picture of the church itself.Clicking through the list of Elliotts buried in Stone Mountain cemetery, I came across a great (?) aunt, Fletcher’s older brother’s youngest daughter, Lura Elliott Brown, who just recently passed away. So recent in fact (May of this year) that if we’d started earlier on the research, we might’ve been able to meet her. Now, my mission is to hopefully find one of her children and when we finally make it over to the Black Mountain/Old Fort area to do some of the physical research, maybe meet with them. Oh, and I also sent an email to the Majdan Family History site explaining who we are and asking if it would be possible to meet with them when we’re there in the spring. We’ll see what happens with that! So, I’m a virtual gravedigger once more–happily digging in cyber-dirt and loving every minute of it! the world hasn’t ended which means I need to finish my Christmas shopping! Not that I thought it really would end but still, you never know, do you? And the day isn’t over yet so I think I’ll wait till tomorrow. Anyway, with all the dire predictons about the end of the world, I spent the last couple of days doing something I enjoyed instead of cleaning house or shopping for Christmas presents: I’ve been researching and believe me, that is something I never thought I’d hear myself say…er, see myself type. I used to hate research so much that I avoided it if at all possible. I mean to the point that it impacted the type of books I wrote. Why write historical with all that nasty research when you can write paranormal and make all that stuff up? But that changed when Christy and I started doing the research on Whistling Woman. I’m pretty sure it’s because we were researching people who we knew or people who, like that butterfly in the rain forest, may’ve only gently flapped their wing and it sent a ripple through our lives by way of our ancestors. 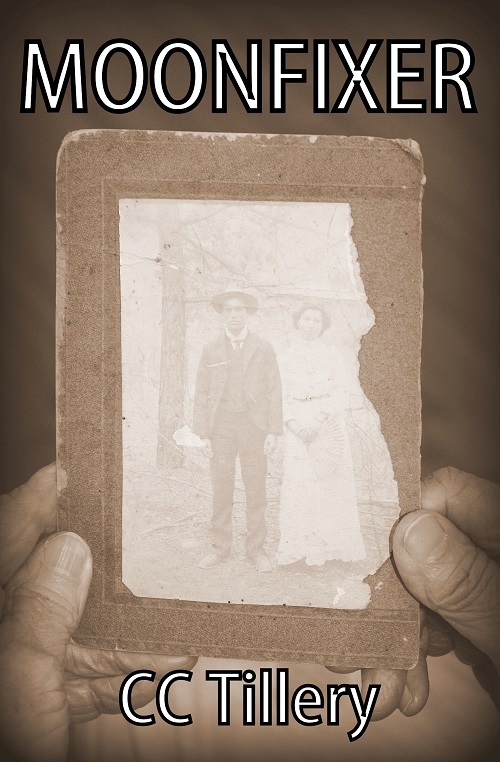 People like our great-grandfather, John Warren Daniels, one of the main characters in Whistling Woman. Isn’t he a handsome devil? Whistling Woman was a four year labor of love and most of those four years were given over to research. We knew we had to get the background and historical facts right and so we buckled down with our computers or traveled to Hot Springs, Marshall, and various other points in Madison County and talked to a lot of people who were all very helpful.And now, we’re getting ready to do it all over again with Moonfixer, the second book in the Appalachian Journey series. Only this time, we’ll be traveling to the Broad River section of North Carolina and though we’ll still be walking in the footsteps of our ancestors, we’ll also be walking in places we’ve been before; Black Mountain, Old Fort, Stone Mountain, the graveyard at Stone Mountain Missionary Baptist Church (click the link for a wonderful picture of the church from the Majdan Family History page) where many of our characters are buried. Strangely enough, I find myself looking forward to it–which is how I ended up spending what could’ve been the last two days of my life doing research. Who would’ve ever thought I’d enjoy every minute of it? Introducing Moonfixer: Magic quilts, white lightnin’, and things that go thump in the church! “When NBA pioneer Earl Lloyd was a freshman at West Virginia State in the late 1940s, he was the tallest man on campus. At 6-feet-5, it wasn’t uncommon for Lloyd’s friends to jokingly ask him to “fix the moon,” so that the night might fall just so as they went out on their dates….Detroit Free Press. We’re still researching as we’ve yet to find where the term originated from but we knew right away it was perfect for the title of the book that will tell about the next part of Aunt Bessie’s life. 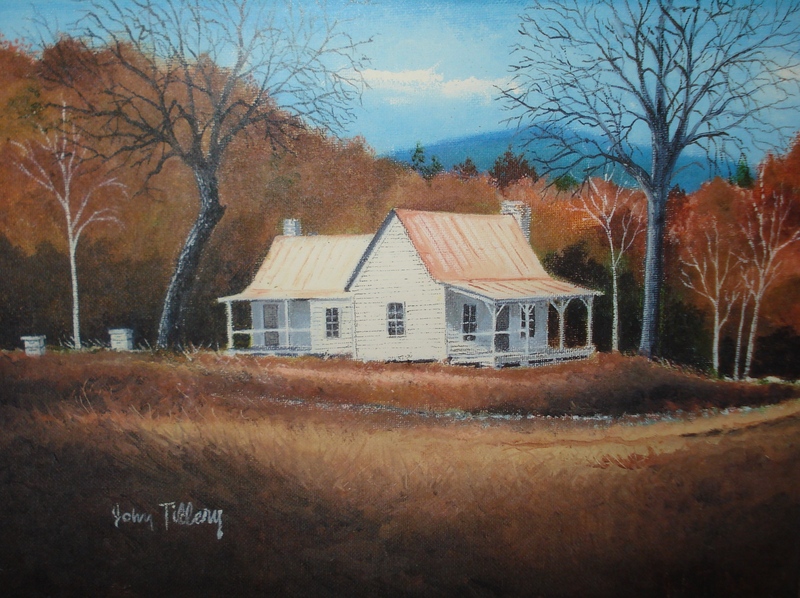 This is one of the first paintings I remember Daddy painting, it’s the back of Aunt Bessie’s house on Stone Mountain (sorry for the color, I really need to take some photography courses!). Daddy has many stories about Aunt Bessie’s time in the Old Fort/Black Mountain area–even more than he had about her time in Hot Springs–because he actually lived with her and Uncle Fletcher for a while. And his brother, our Uncle Ken, has gotten in on the act, emailing us his memories and stories of Stone Mountain, too. This promises to be a fun book for us, not only because we’ll get to spend time in an area we loved as kids and we have lots of family stories to revisit, but also because part of it will take place during the early years of the 20th century, a very interesting time in history. We’re not sure of the exact time span of the book yet–perhaps the next 30 years?–but we do know it’s going to require quite a lot of research. After all, think of all the changes, electricity, telephones, just to name two, and then there’s the historical events, the first world war, the Spanish flu pandemic, women winning the right to vote, etc. 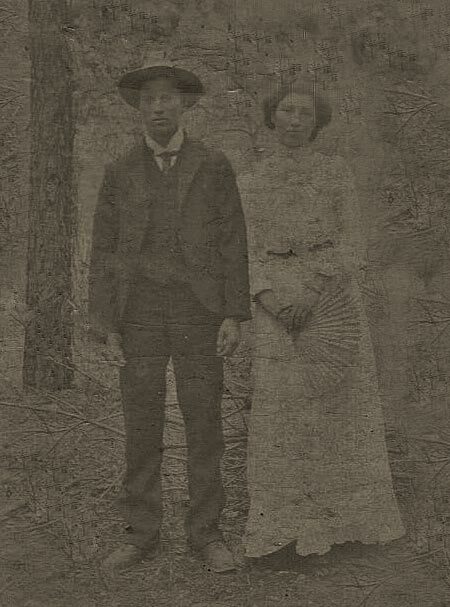 Although, most of that didn’t affect Aunt Bessie’s life up on Stone Mountain, she was too busy teaching in one-room schools and establishing a home for her and Uncle Fletch on the 40 acres of the Zachariah Solomon plantation they puchased for their house–the one Christy and I visited many times as children. And yes, like the title to this post says, there are magic quilts, white lightnin’, and things that go thump in the church…not to mention ghosts, bootleggers, revenuers, and dead men wielding knives!